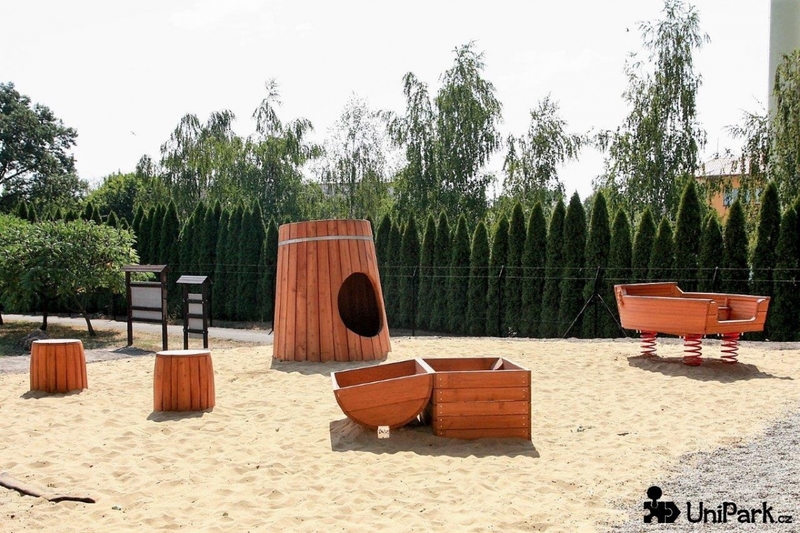 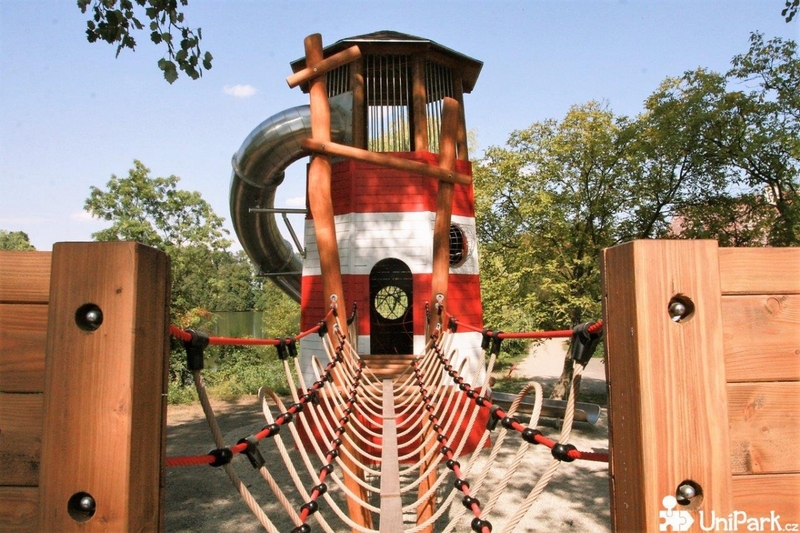 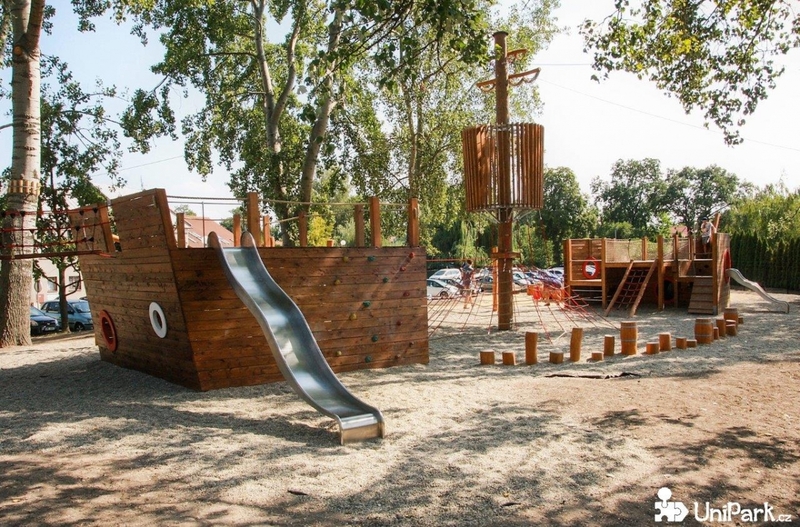 We have built another unique playground, this time in Kojetín. 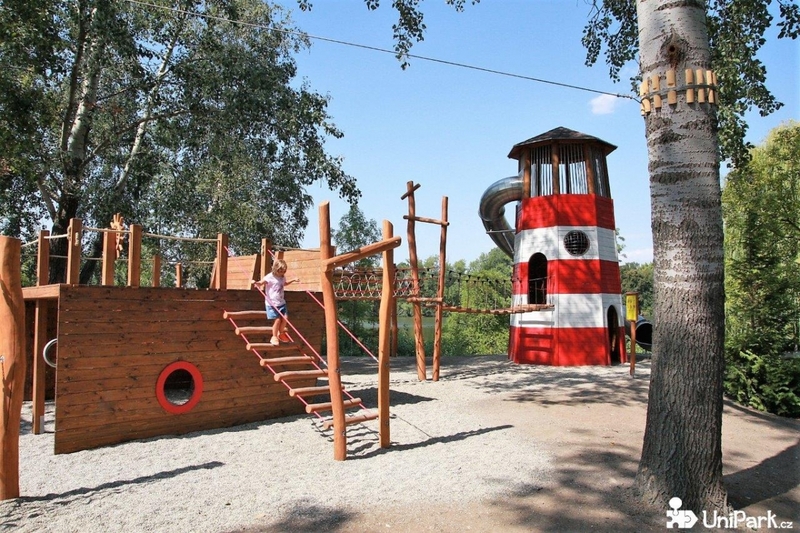 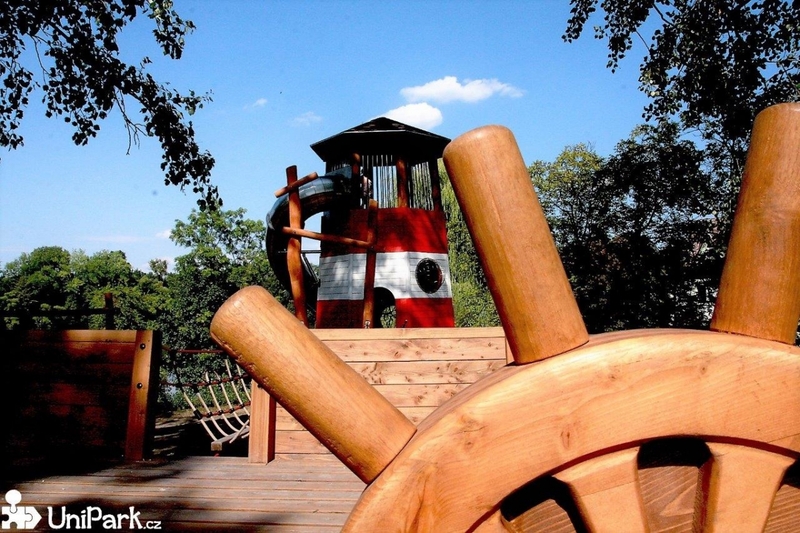 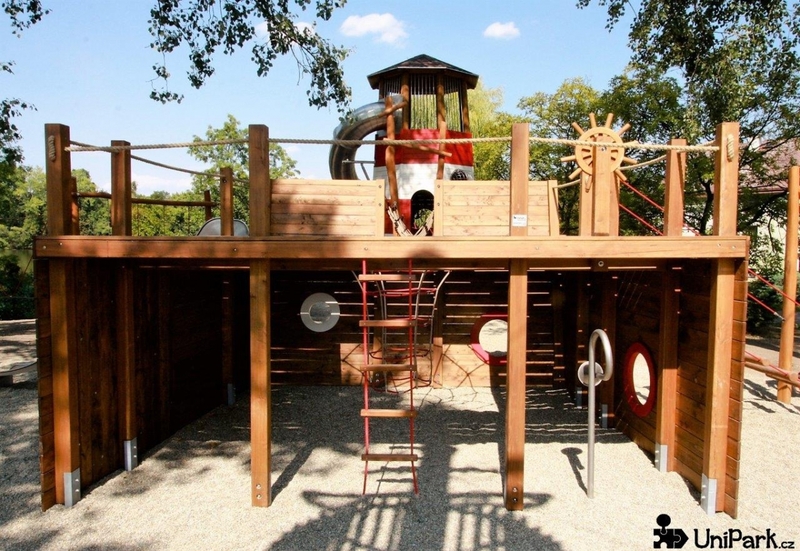 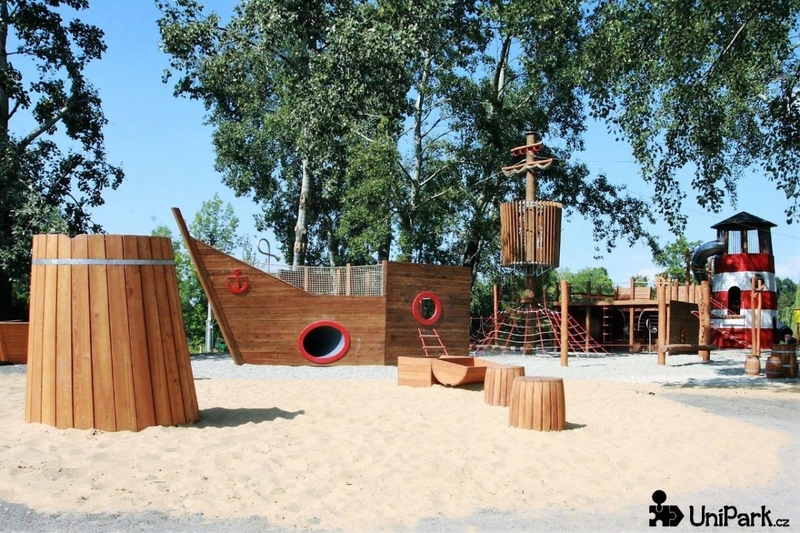 The picturesque location close to the pond, the swimming pool and the mill inspired us to design and realize an outdoor playground for all sailors. 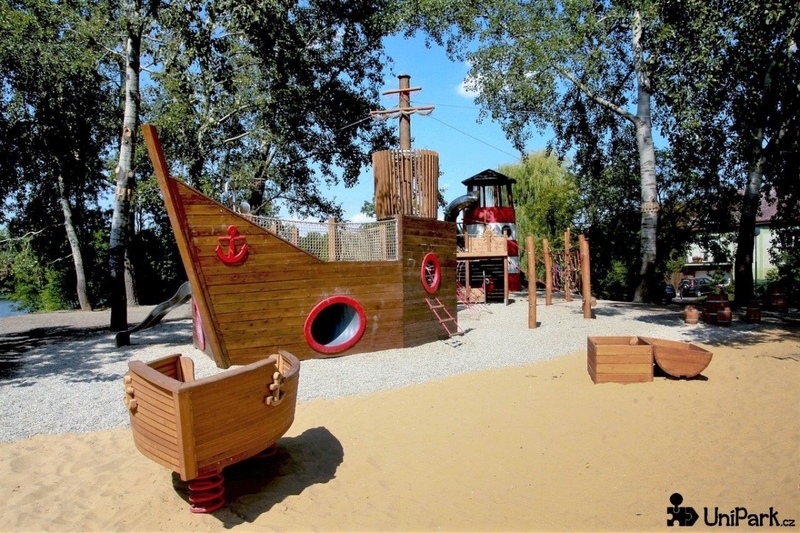 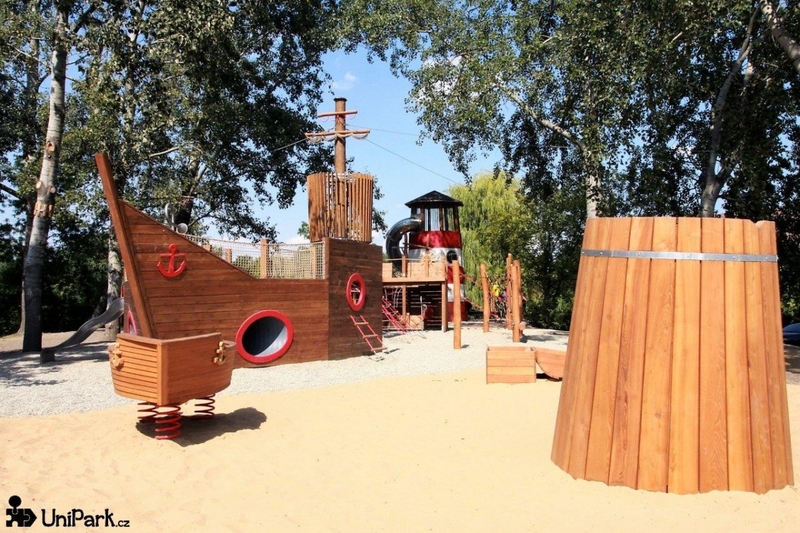 The playground looks like a ship that has been wrecked and divided into several thematic parts. 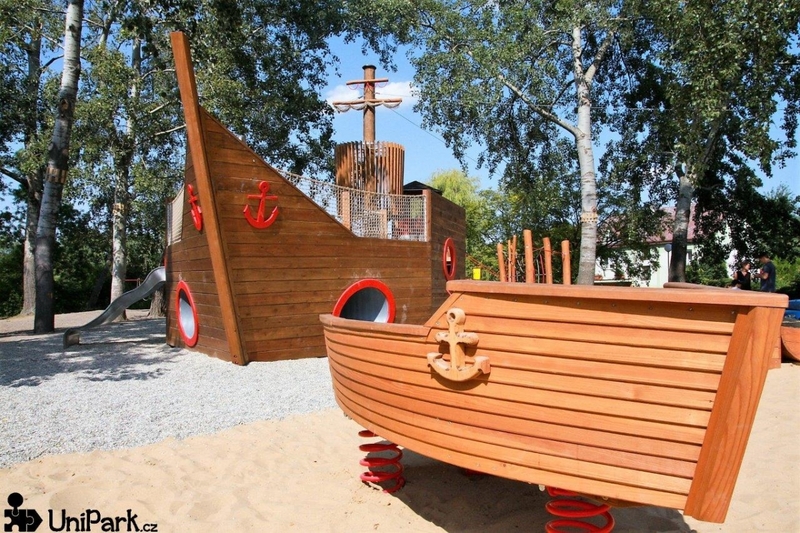 The front part of the boat is mainly intended for smaller children. 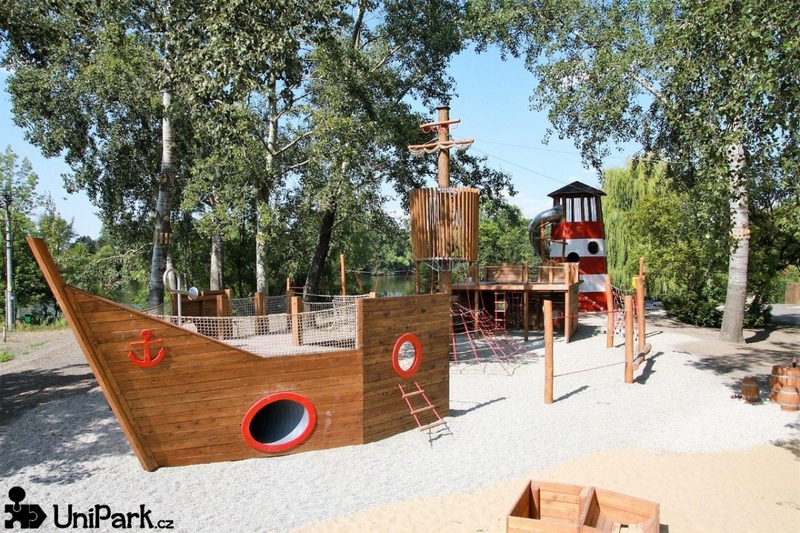 In the middle and rear we have built a lot of rope ladders and bridges, which shall be enjoyed by older children. 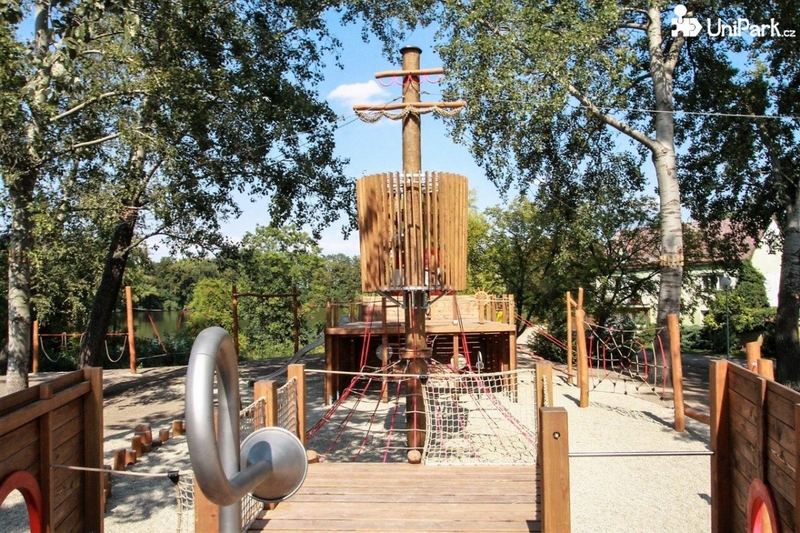 Surrounding the ship, there are several low rope obstacles, balancing blocks and other game elements that resemble part of the ship's equipment. 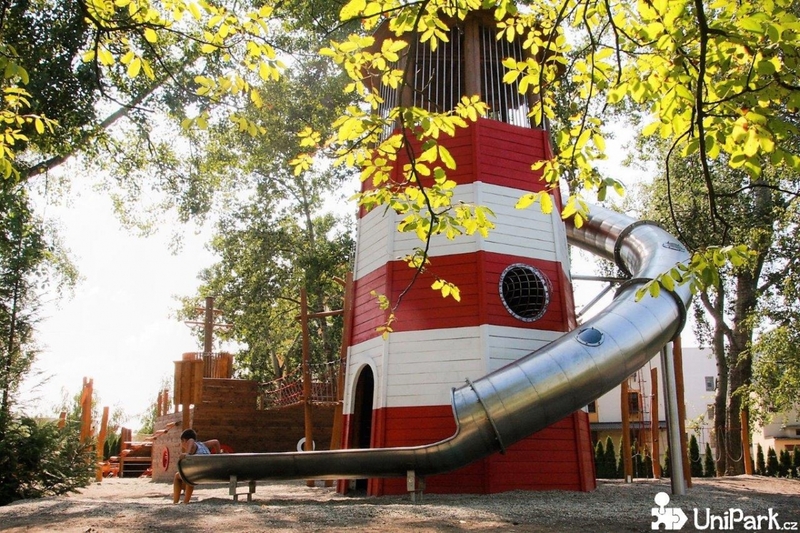 The main feature is the octagonal tower looking like a lighthouse with a view and a water slide. 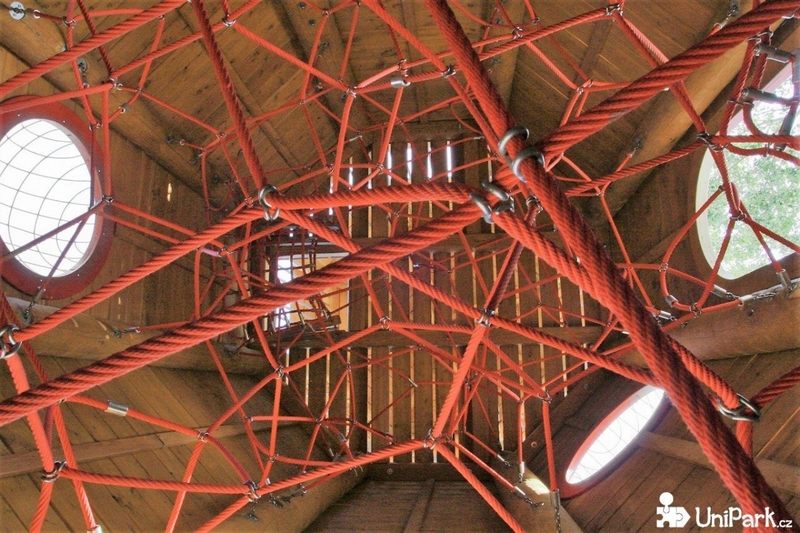 The interior of the beacon is made up of a rope space network that serves to climb up the prospect. 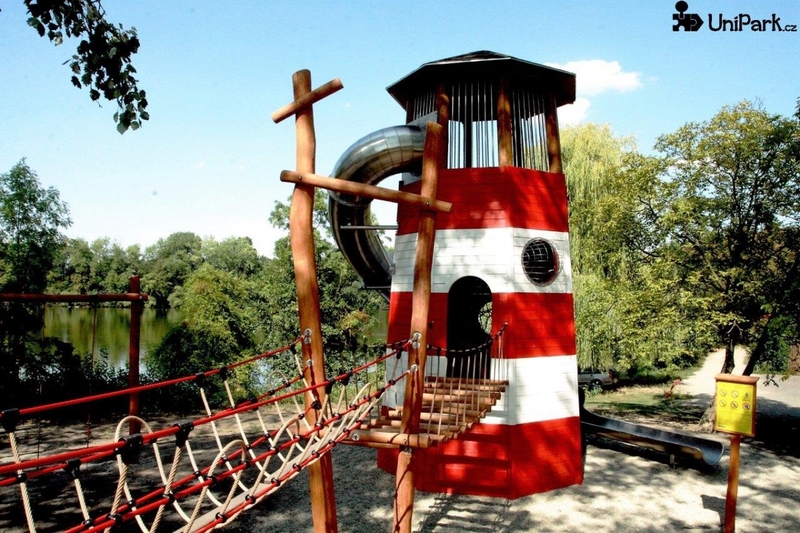 The lighthouse is connected to the back of the boat and is also accessible by ground level holes. 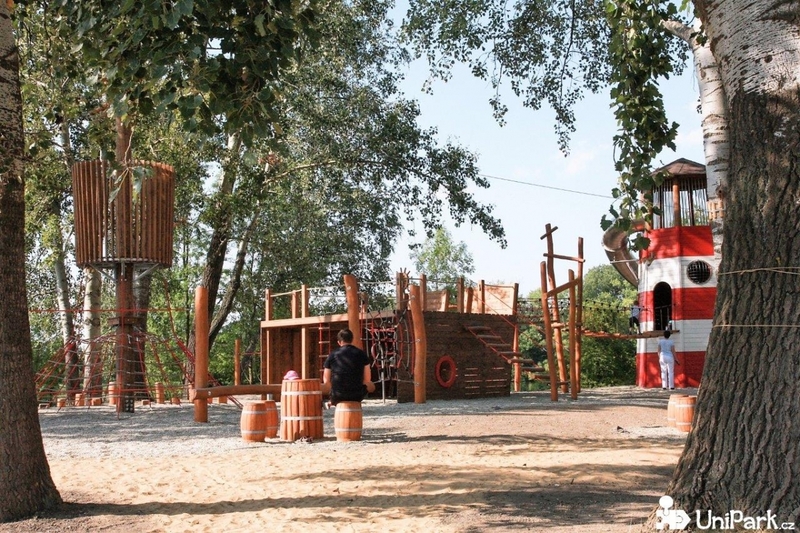 The playground is open to the public during the whole year and it is made of materials that have a long service life and are resistant to vandalism.